If you blinked at ILTA09 [International Legal Technology Association – August 23-27, 2009], you might have missed it. And, even if you saw it, did you understand its implications? One law firm has found a way to create real transparency in its dealings with its clients. Are other firms ready to do the same? Finances – project estimates, what fees have been incurred to date, aged invoices, etc. Projects – real-time status of projects and resource availability. Personnel – a directory of all Mallesons personnel working on projects for a particular client. The directory is tailored for each client to show the personnel organized in a manner that reflects that client’s business units rather than Mallesons’ internal organization. Current awareness information – news feeds, client alerts, etc. Deal rooms and Data rooms. Yes, e-mail. Is this the thin edge of the wedge? Have law firms ever given clients access to correspondence files before outside of a discovery request? Once clients can see an organized real-time collection of firm correspondence, what’s next? The answer to that question may well come from Mallesons. Gerard told us that Mallesons monitors client usage of the service very closely and then adapts the tool to suit client needs. As a result, Mallesons will know before anyone else exactly what clients want and will be able to provide it while other firms are debating the merits of increased transparency. There’s another important element that should not go unremarked. Law firms rightly believe that they should bring only their very best work to their clients. Since this work rarely springs into life fully-formed, this means firms hide behind the curtain all the preparatory measures necessary to generate excellent work product. However, once you introduce real-time transparency into your relationship with your client, it will be much harder to hide the behind-the-scenes work. And, that transparency will provide clients an opportunity to comment on our work and working methods behind that curtain. Are law firms ready for this level of oversight? To give them credit, Mallesons “put its money where its mouth is” by providing an extraordinary level of transparency into the process of developing the Mallesons Connect tool itself. They created a prototype and took it to their clients, only to discover that it wasn’t what their clients needed. Rather than retreating behind the curtain to try another approach, they worked closely with their clients to develop the tool to meet client needs. This is definitely a departure from the way most law firm technologists and knowledge management personnel are used to working. And, it will require a change in the way lawyers have come to view the process of developing practice support tools. No more little man behind the curtain. 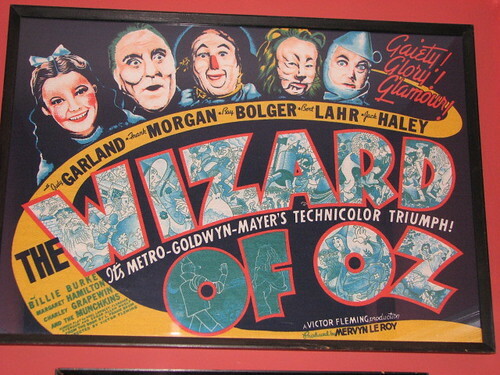 Now, we really need to be the Wizard of Oz. Work in progress information is an optional feature that is provided as a composite rather than in detail. (I’m assuming this ensures that proper internal firm procedures can be followed in preparing bills.) Their clients understand that the financial information is indicative rather than final, and is intended to help clients avoid surprises. Mallesons is intending to expand Mallesons Connect from its current primarily financial data focus to providing collaborative work spaces shared by clients and the firm. It is these work spaces (e.g., project wikis) that will house the personnel directory (using Mallesons’ superb People Finder tool) and the e-mail. As mentioned above, the e-mail displayed will consistent of e-mail exchanged between the firm and the client. It will not include any internal firm conversations regarding the client or the matter. Stepping back from the detail, the key to making this work culturally and politically within a law firm is to start by providing noncontroversial information such as prior invoices, completed and current work product, and e-mail the client has already seen. Once this is automated and functioning well, the firm and client can think about what other information would be useful to both parties to make their relationship more effective and to help both manage the work. Taken from this perspective, it’s a win-win situation for client and firm. [Note: first published – Above and Beyond KM – A discussion of knowledge management that goes above and beyond technology.